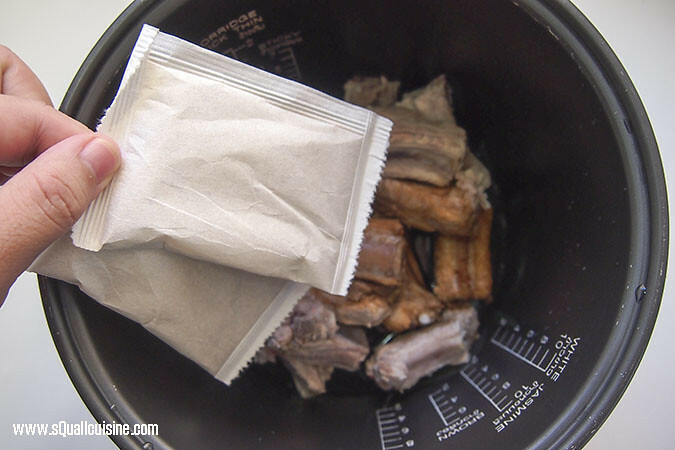 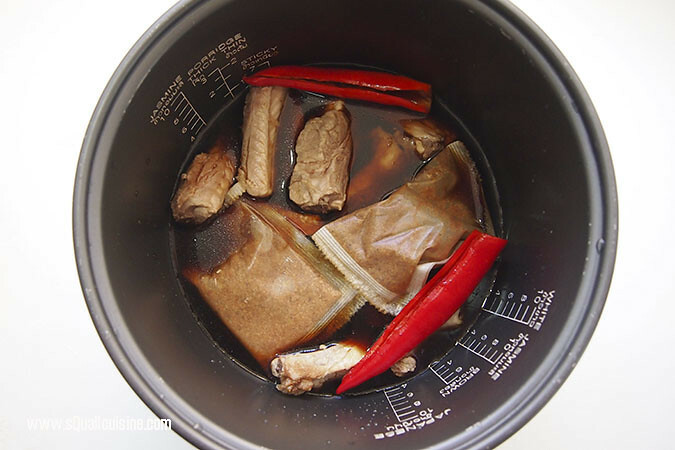 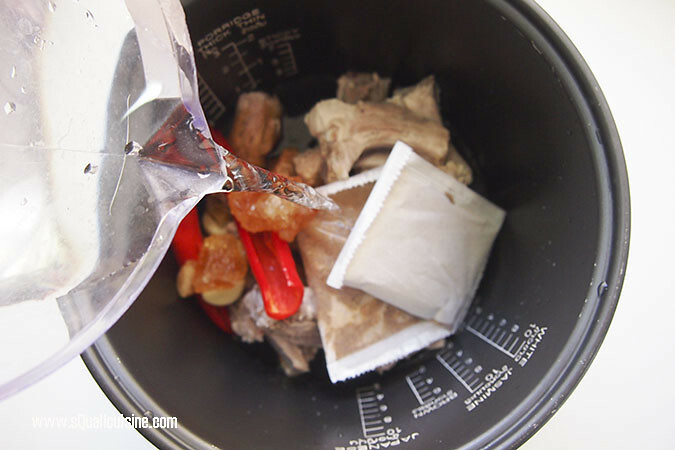 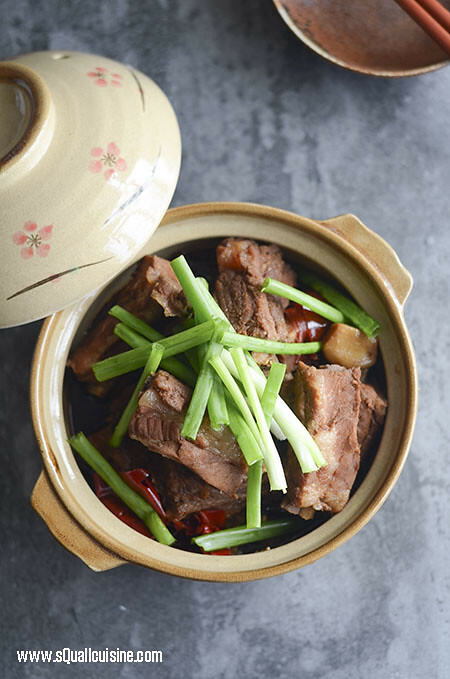 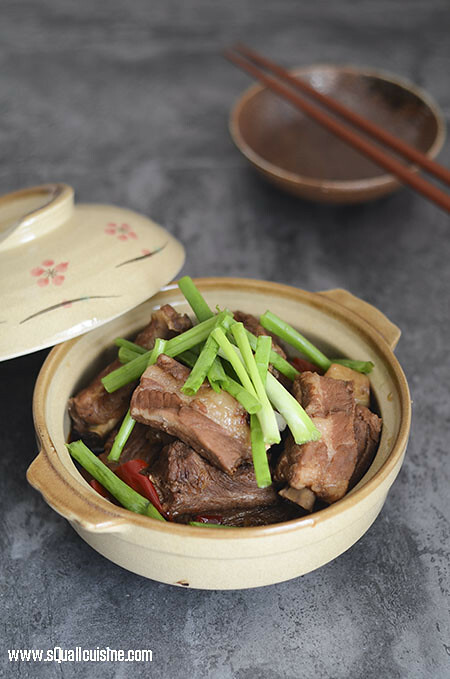 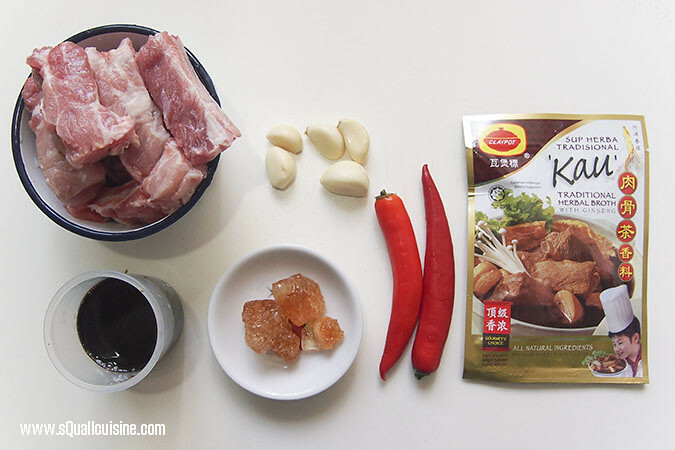 Place pork ribs and water in a pot and bring to boil. 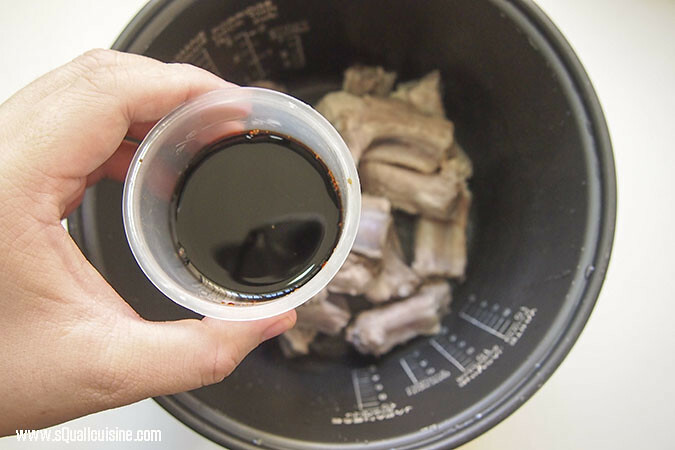 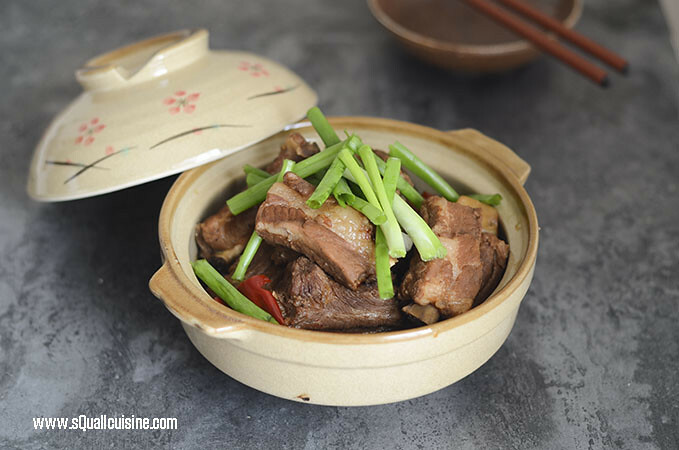 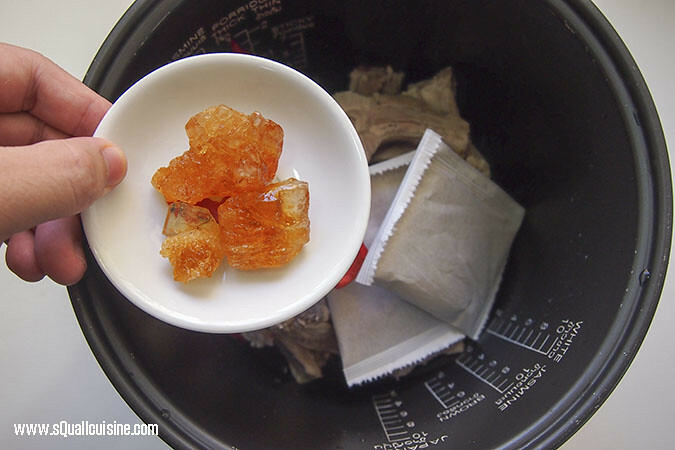 Remove from heat, drain and wash.
Place pork ribs and soysauce in a pot. 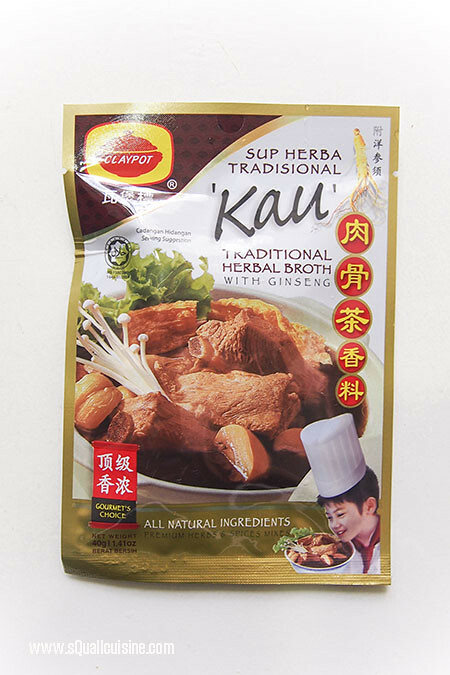 Add in garlic and “Kau” traditional herbal broth pack. 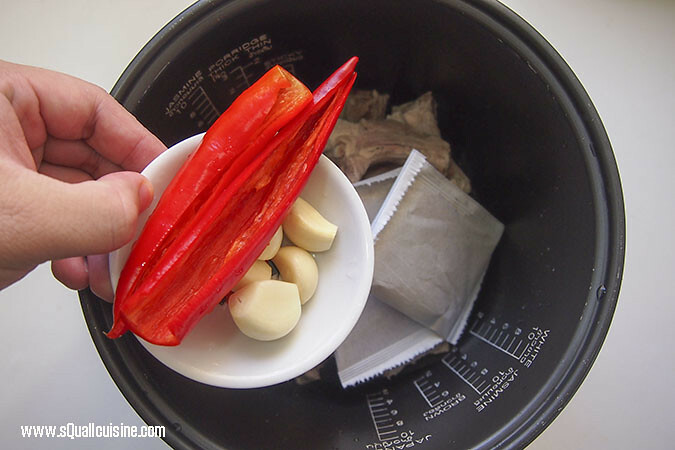 Add in gar, chilies and rock sugar. 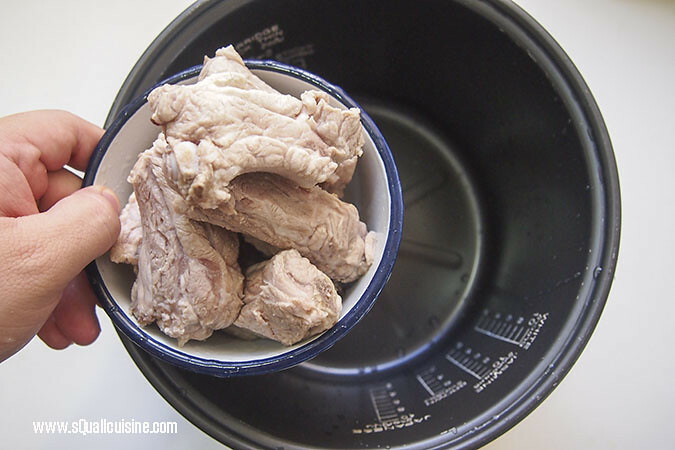 Transfer pot to rice cooker and stew for 1.5hrs.